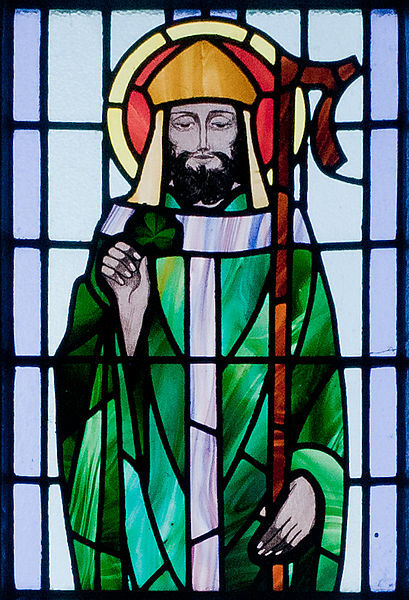 IrishAmericanJournal.com: Who is St. Patrick? There is an old church in New Orleans on Camp Street named after St. Patrick. He is the patron saint of Ireland who converted the Irish people from paganism (Druidism) to Christianity in or about 432 AD. 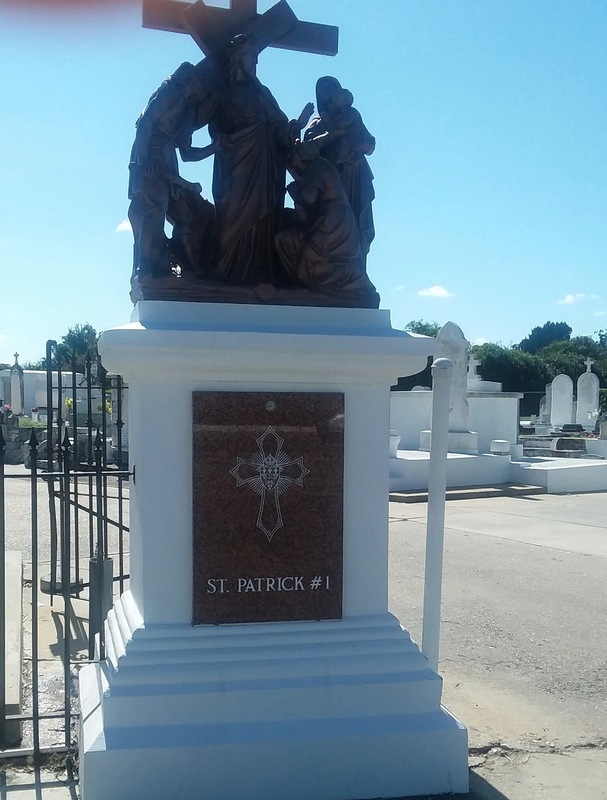 There is a cemetery on Canal Street in New Orleans named St. Patrick Cemetery, Number 1. There is another cemetery, also in New Orleans and also on Canal Street, named St. Patrick Cemetery, Number 2. 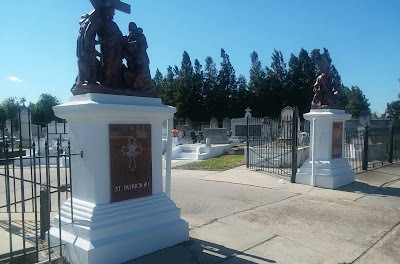 And there is still another cemetery in New Orleans named St. Patrick. 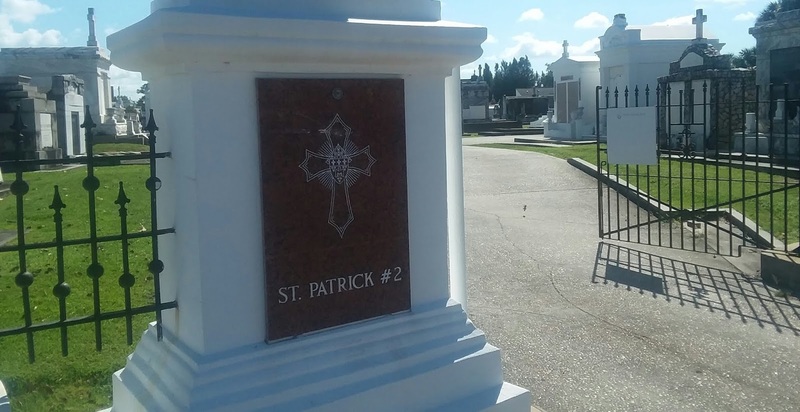 This is St. Patrick Number 3, and it is on City Park Avenue. 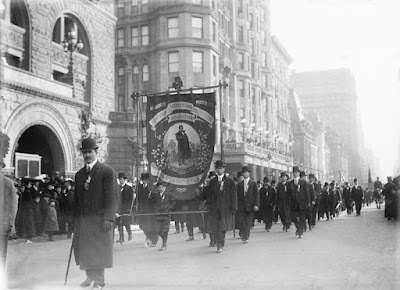 There are numerous parades for St. Patrick's Day in New Orleans. In multicultural New Orleans everyone celebrates March 17th. Some parades go through the old neighborhood called the Irish Channel, and others go through the French Quarter and the suburbs. Some parades are typically Irish; others are multicultural. One includes the Italians/Sicilians -- who celebrate St. Joseph Day on March 19 -- and another includes the Islenos, who are people with an ancestry in the Canary Islands of Spain. The Islenos immigrants originally settled in fishing villages just south of New Orleans. In reality, in New Orleans, St. Patrick's Day is celebrated by people of all ethnic backgrounds and all religious beliefs. There is even a street in the city named St. Patrick Street -- not far from the St. Patrick cemeteries -- and a playground by that name too. New Orleans is about 4300 miles from a place called Downpatrick in Northern Ireland (or the North of Ireland, if you prefer). There is a graveyard at a cathedral there which is said to be the final resting place for St. Patrick who died on March 17, 461 AD. 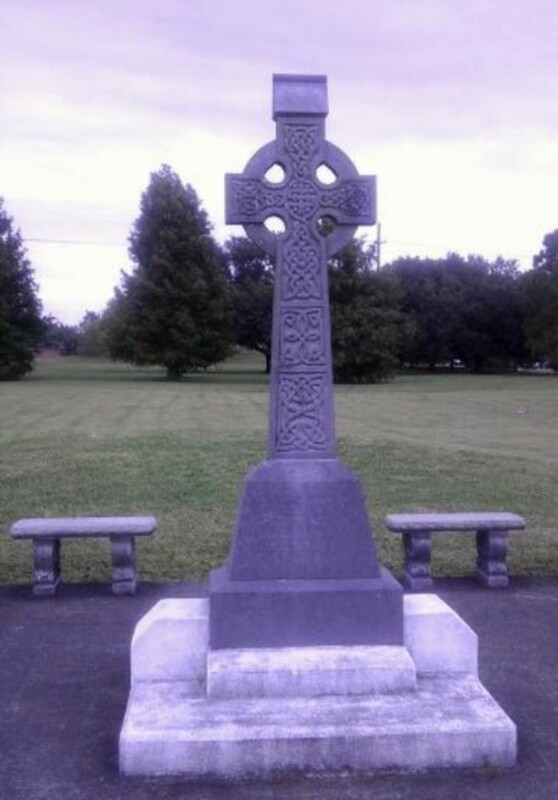 The exact resting place for St. Patrick is disputed, however. 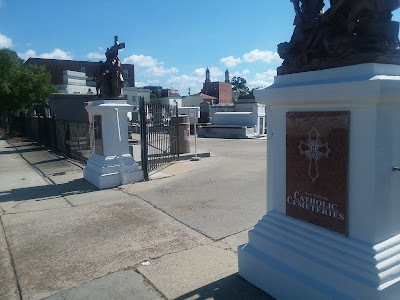 So, why is this man who lived 4300 miles away and 1557 years ago remembered in a city, New Orleans, so separated from him in time and space? 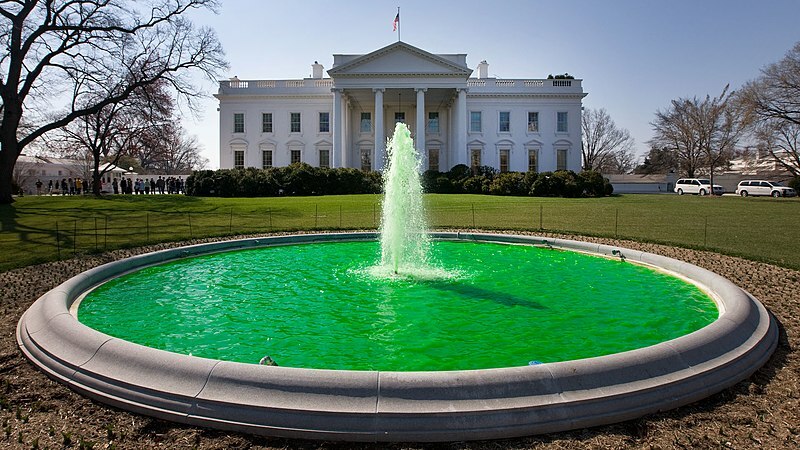 And for that matter, why is St. Patrick remembered in other cities and countries around the World? The day for St. Patrick was remarkably celebrated in Antarctica too. No kidding. See this story about a St. Patrick's Day celebration in Antarctica. 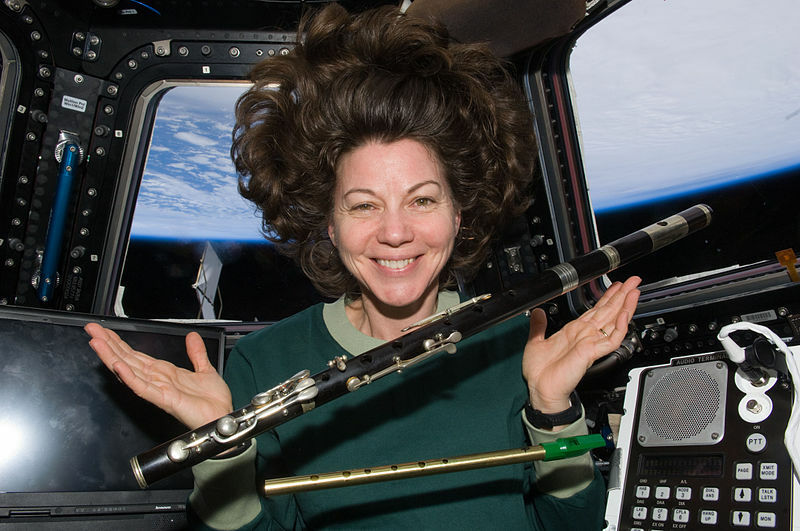 And St. Patrick's Day was even observed in outer space where an Irish American astronaut, Dr. Cady Coleman , played an Irish tune on a flute and sent holiday greetings from the International Space Station orbiting planet Earth. musical instruments in zero gravity while orbiting planet Earth. Quite amazing, yes. 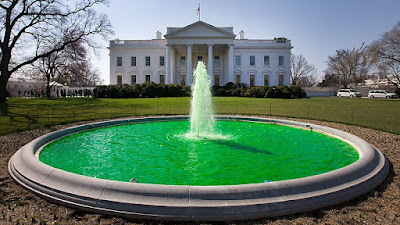 Although St. Patrick's Day -- his Feast Day which is actually observed on the day he died, March 17 -- had been recognized for centuries by the Church, the first officially recorded St. Patrick's Day celebration happened in the Spanish colony of Florida in 1600. That Spanish colony had an Irish priest or vicar named Ricardo Artur (or Richard Arthur) who made the St. Patrick's Day celebration happen. So why has St. Patrick and his Feast Day been remembered with such affection throughout the centuries by so many people? What did St. Patrick do? The story begins, oddly enough, not in Ireland, but in ancient Britain. His original name was Maewyn Succat, not Patrick; and he was Roman, not English, despite being born in Britain. Many of the details of St. Patrick's life are uncertain today, and much remains a mystery. We do know that he came from a fairly well-to-do family of Roman citizenship and that his parents were Christians. He was born in the early 5th century AD and may have lived in his early years in Scotland. The world in those days was still still dominated by the Roman Empire, but it was in decline in the West. The eastern empire still thrived from Constantinople, but the West fell to barbarian invaders in 476 AD. In the time of St. Patrick, Rome still existed; but the world was changing. Rome was no longer officially a pagan state but had been Christianized under Emperor Constantine. Nevertheless, paganism prevailed throughout much of Europe. Ireland have not been conquered by Rome, although the Romans did visit it and named it Hibernia, or the winter quarters. They could escape the harsh winters of Britannia by wintering in nearby Ireland. St. Patrick's Day at the White House, 2012.
eventually won favor as the symbol for Ireland. Most of what we know about the life of Patrick comes from a book he wrote called Confessio. (See more about the book here.) In it St. Patrick describes his life and his work as a missionary. Patrick was a prisoner and slave for six years. During that time, although he had not been particularly religious prior to his enslavement, he developed a strong belief in prayer. His Christian faith sustained him during his captivity. He escaped somehow and made his way by ship back to Britannia and was reunited with his family. It was said that Patrick was advised by a mysterious voice during a dream on how to make his escape. Was this the voice of God? 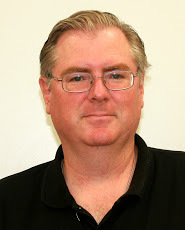 After he was back home, Patrick decided that he would become a Catholic priest. He studied for the priesthood and became a missionary. But he had another dream. This time, in the dream, he received a letter called "The Voice of the Irish." In the dream he heard the voices of Irish people asking him to return to Ireland and teach them about Christ. 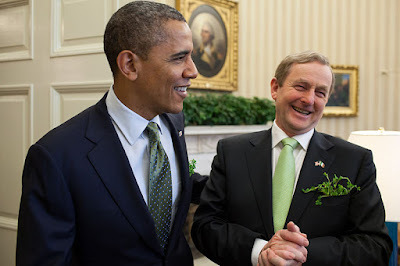 of St. Patrick's Day, 2011. Green is the Irish color. Patrick eventually became a bishop, and in 433 AD he traveled back to Ireland. 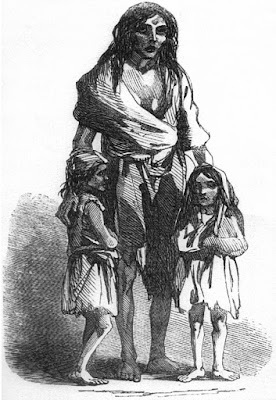 In the land where he was once held as a slave and labored as a shepherd, he returned as a Catholic bishop and missionary who would lead a new flock, the Irish nation from paganism to Christ. By using no power but his remarkable powers of persuasion, his will power, and his faith in Jesus, St. Patrick built churches and converted thousands upon thousands of the Irish people. He told the Irish about the life of Jesus and delivered the Gospel to them. St. Patrick lived and worked in Ireland as a missionary, usually in a state of poverty and with great physical hardship for almost 40 years. 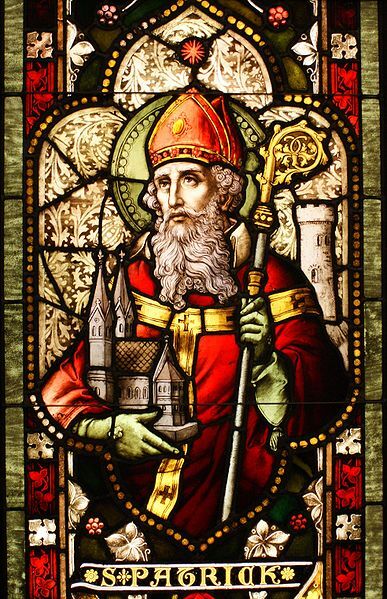 Although there were other Catholic missionaries to Ireland, it was Patrick who was responsible ultimately for turning the Irish away from Druidism to Christianity. St. Patrick, it was said used the shamrock -- a three leaf clover with one stem -- to explain to the pagans the complex and seemingly contradictory concept of the Blessed Trinity. Father, Son, and Holy Spirit were like the three leaves on the shamrock which were connected by one stem forming one shamrock leaf. Like the Celtic harp, the shamrock became the very symbol of Ireland, perhaps greater so because of its religious ties to St. Patrick. There is a popular story that St. Patrick drove the snakes out of Ireland. Of course, Ireland did not and does not have any snakes. What this story most likely means is that St. Patrick drove away the belief of the Irish in paganism and replaced it with a faith in Christianity. St. Patrick truly did great things and did so in a humble and caring way. He never used force or threats to convert the pagans. He only persuaded them through the power of love -- the love of the words of Jesus. Evidence of St. Patrick's devotion to the teachings of Jesus is this prayer which he wrote called "Christ Be With Me." There is no doubt that these were not mere words to Patrick because it was the power of Christ that sustained him when he was just a boy being held as a prisoner and worked as a slave. St. Patrick devoted is life to helping the very people who had enslaved him find salvation through Jesus Christ. St. Patrick died in a place called Saul, Downpatrick, in the North of Ireland on March 17, 461 Anno Domini. The spirit and message of St. Patrick's live on centuries later in Ireland, in New Orleans, in Antarctica, in New York, in Washington DC, in a space station in orbit around planet Earth, and where ever and when ever people of faith travel throughout the Universe -- not just the Irish people, but any and all people who hear the healing power of the words of Christ -- or simply follow his example -- by which St. Patrick found Salvation. "This Day in History: March 17, 461 Saint Patrick Dies" by the Editors at history.com; Wikipedia.com, article on St. Patrick.